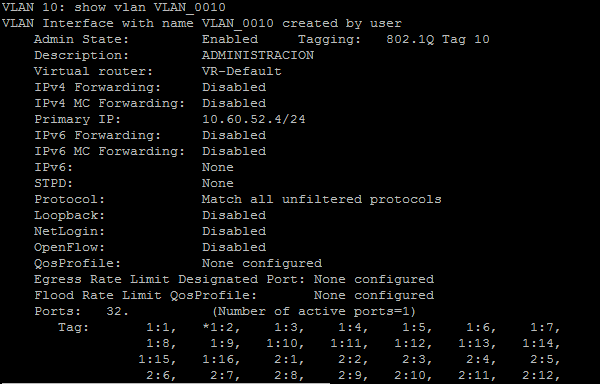 You don't need to do 'enable vlan', they are enabled by default. Unless your computer supports 802.1Q tagging, your PC port should be untagged in that VLAN. To have ssh or telnet just issue 'enable telnet', 'enable ssh'. It is not recommended to use Telnet due to weak security compared to SSH, unless you have good isolation of management traffic. Switch will be available for Telnet or SSH on all IPs you set on it (Mgmt VLAN or ADMINISTRACION VLAN or any other VLAN that has IP address). You can restrict what IPs should be available for management with ACLs for example.